Wow... can you believe this album was released 38 years ago??? I don't know about you, but I still feel like the little girl whose heart went all aflutter whenever David Cassidy was on TV or the radio. 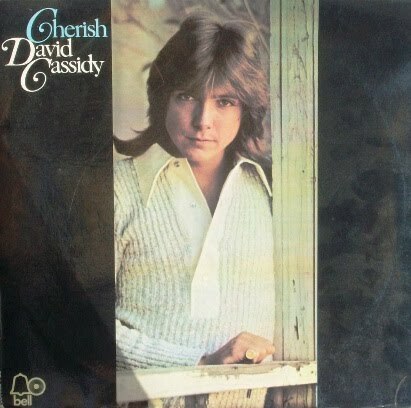 Oh, I still love other "teen idols" from back in the day, but David Cassidy will always be my first love! Just look how absolutely dreamy he is on the cover! And even though this album is 38 years old, I think it still holds up. 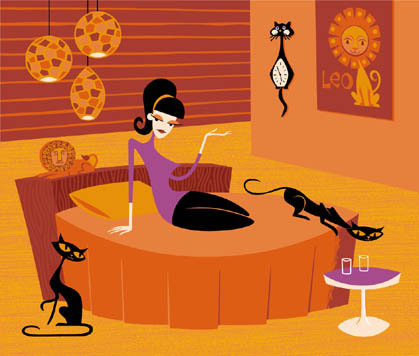 My favorite song used to be the title cover song, "Cherish", but now it's "My First Night Alone Without You". Does that mean I've grown up? Gee, I hope not. 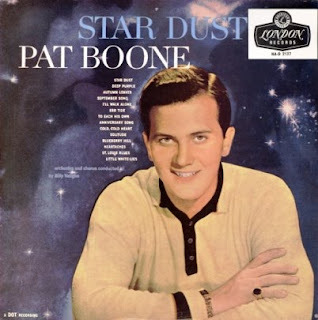 Well, this is the last of my Pat Boone records. I've had this one for some time - bought it sometime in the late 1980s when I discovered my favorite local radio station, KAAM. Pat Boone is played regularly on that station. Anyway, I've always loved his smooth voice and his choice of songs. I've also seen a few of his movies - "Bernardine", "State Fair", and "The Cross and the Switchblade". I saw the last one as an extra credit assignment for my ninth grade religion class (I went to Catholic school for 12 years) in the 1970s (it also featured a young Erik Estrada as a young punk). Well, this is a great album and it's full of lovely familiar standards. And Pat sings them all beautifully. Also, the orchestra is conducted by Billy Vaughn! Enjoy! Happy First Day of Summer tomorrow! Summer is my very favorite season, and I am glad it has arrived! The heat doesn't bother me at all, and I like the longer days. Summer holds lots of wonderful memories for me, so, in celebration of the First Day of Summer, I offer you my annual summer songs compilation. 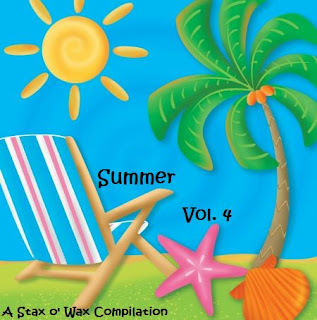 The previous three summer compilations have contained only songs with the word "summer" in the title. Well, I'm running out of those songs, so this year I've expanded the song choices to include the words "beach", "surf", and "sun". Hope you enjoy this! If you haven't downloaded the first three volumes of my Summer compilations, click on the "summer" label to take you directly to those posts. Happy Summer! Here's a gem I picked up a couple or so months ago at my favorite supplier of old records, Half-Price Books. I already posted an album of music from the TV series "77 Sunset Strip" by Frankie Ortega and Sy Oliver, and I downloaded the one by the Warren Barker Orchestra, so I guess you could say that I really love the music from that show! I just love "crime" jazz in general - too cool! Well, the sound quality on this one isn't the best, but it's still listenable (is that a word?) and just overall fun! 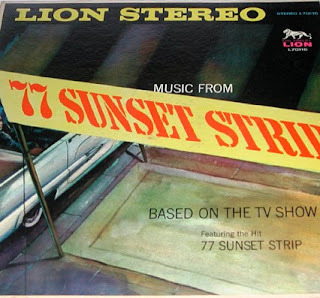 I was reading up on Aaron Bell and he recorded other albums along these lines ("Peter Gunn" and others), so if anyone has any to share, please do! This was the third album by Herb Alpert and his Tijuana Brass, and one of my mom's favorites, although I don't remember her playing this one as much as a couple of the later ones. Several cover songs on this album, but my favorite song is "Mexican Shuffle". Kinda hard to believe Herb is 75 years old, but his music is ageless! Here's another celebrity vocal album. I got this at a music memorabilia show at the end of January, thanks to my friend, Dan, who pointed it out to me. We were both swooning over the young Edward Albert (Eddie's son) on the cover - wasn't he a dreamboat? 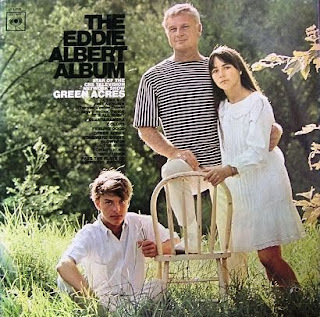 Anyway, Eddie Albert recorded this album during his "Green Acres" fame, and sings that song on the album, but it's a little different from the version sung on the TV show (no Eva Gabor and some of the lyrics are different). Eddie was really a very talented entertainer - an Academy Award nominated actor, a singer, dancer, circus performer -go read about him on Wikipedia if you want to know more. And this album is a fun album. I like his version of Simon and Garfunkel's "Homeward Bound", and even "Guantanamera" (which I've always thought to be a boring song). But the one I really love is "Feeling Good" - it just cracks me up the way he says "Feeling gooooooood"! Hope you enjoy this!